Celebrates the Continued Legacy of Dr. Martin Luther King, Jr.
CINCINNATI, OH (January 9, 2019) –The National Underground Railroad Freedom Center will host the 2019 King Legacy Awards Breakfast on Monday, January 21. Doors open at 7:30 a.m. and the breakfast begins at 8:00 a.m. The annual breakfast and program is presented in partnership with the Martin Luther King, Jr. Coalition and sponsored by Procter and Gamble, Xavier University, Western Southern Financial Group, University of Cincinnati, UC Health, Union Savings Bank and Guardian Savings Bank, Fifth Third Bank, and Mercy Health. Tickets for the breakfast are $40 per person, $20 for youth 18 and under. Seating is limited. To purchase tickets, call (513) 333-7706. The 2019 King Legacy Awards Breakfast program begins at 9:00 a.m. and will honor the participants of the King Legacy Youth Leadership Program. The King Legacy Youth Program provides leadership opportunities for graduates of the Youth Docent Program. This year’s keynote speaker is Dr. Holly Y. McGee, Assistant Professor of History at the University of Cincinnati. The 44th annual MLK March will begin outside the National Underground Railroad Freedom Center immediately following the breakfast and awards. Marchers will depart at 10:30 a.m., proceeding to Fountain Square for an interfaith prayer service and continuing to Music Hall. All are welcome to participate. This annual march, which has been held in Cincinnati every year since Ohio declared Martin Luther King Day a state holiday in 1975, draws nearly a thousand people to reaffirm their commitment to Dr. King’s legacy and his tireless work for justice, equality and freedom. 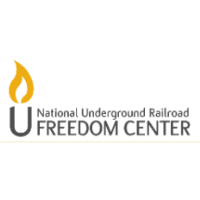 The National Underground Railroad Freedom Center will open to the public at 12:00 p.m. with free general admission to the museum’s permanent exhibitions and special programming. Visitors may immerse themselves in The Rosa Parks Experience for an additional $5.00 or the Mandela: The Journey to Ubuntu exhibition for an additional $10.00. Hoxworth Blood Center’s Annual MLK Day Blood Drive will begin at 11:00 a.m. on the third floor of the museum. To schedule an appointment, please call (513) 451-0910 or visit hoxworth.org/groups/mlk. For more information about the breakfast or exhibits and programming at the National Underground Railroad Freedom Center, visit freedomcenter.org.